Although I cannot dream of claiming a future as sparkling as this young Plantinga’s, I am 26, which means I have at my own clumsy disposal one more year’s maturity with which to vindicate the Dutchman at the Michigander’s expense. 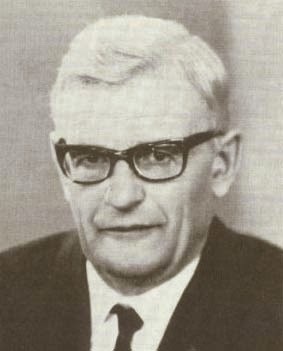 Contrary to what this young Plantinga suggests, I think that Dooyeweerd’s dictum is a powerful, creative expression of a quite coherent position which happens to be deeply rooted in an intuition shared by many figures in the premodern tradition of Christian philosophy (Augustine and Thomas Aquinas, not least of all). Further, Plantinga’s failure to realize this twofold point is on display in a telling footnote, which rather ironically betrays his own fundamental departure from this tradition. First, the quotidian interpretation [QI]. “It is tempting to think,” Plantinga says, “that for Dooyeweerd ‘Meaning is the being of all that has been created’ means simply that created reality is dependent and that it refers to God” (11). If this broad-strokes interpretation is correct, then there is really not much to say; for it is at least one of—if not the—most widely agreed-upon thesis of monotheistic (Christian, Jewish and Muslim) philosophical theology to say that everything besides God is dependent upon God in some way for its existence. “So on this interpretation Dooyeweerd's doctrine, which looked new and startling, turns into a truism. And it is implausible to suppose that Dooyeweerd meant to announce a truism as a new analysis of created being” (11). Here we have the problem, as Dooyeweerd sees it. If creatures have “being” in addition to their “meaning” as directly expressed by the creative Word of God, then this “being”—whatever it is—seems to be marked by at least a relative independence from the Creator. For Dooyeweerd, then, the apparently extreme dictum that being and meaning are identical in creatures is the only way to properly express what for him is an uncompromisable point: namely, that creatures just are their dependence upon the Creator. Since God creates by the Word, Dooyeweerd’s equation of creaturely “being” with “meaning” is an apt description. For Plantinga, there is no problem with drawing a distinction between creaturely being and meaning because even the being of creatures is still contingent—that is to say, there is no danger of admitting a relative independence of the creature even if creaturely being and meaning are distinct; for both the meaning and the being of the creature are, in some way, dependent upon God. A creature’s contingency is inseparable from its being regardless of whether or not that being is identical to its meaning. All in all, Plantinga’s response to Dooyeweerd’s warning about distinguishing creaturely being and meaning is straightforward: there is simply no problem to worry about, since creatures are contingent in both cases (i.e. for both Dooyeweerd and Plantinga). So far, so good. If it were really true that Plantinga’s decision to separate creaturely meaning and being implies no such problem for creaturely contingency, then Dooyeweerd’s objection would fall flat. But not so fast. In a footnote, Plantinga tips his hand—a hand that, in my view, does indeed warrant Dooyeweerd’s criticism. Qualifying his thoughts above regarding contingency being an “internal relation,” Plantinga offers the following note: “Of course I am not suggesting that a creature's being and its contingency are identical” (15n2). Even if it is the case that creatures have being in such a way as to be contingent, Plantinga is not willing to go so far as to say that creaturely being is identical with contingency. To comprehend this point is nothing less than to comprehend the slight but crucial difference between Plantinga and Dooyeweerd. For Dooyeweerd, the whole point of denying any sort of distinction between creaturely meaning and being is to reject what Plantinga has assumed rather casually here: namely, that there is, in fact, some aspect of creaturely being that is not its dependence upon God. For Dooyeweerd, contra Plantinga, it is absolutely the case that “a creature’s being and its contingency are identical.” By definition, to deny this is to admit that there is some creaturely being that is not its contingency, which for Dooyeweerd is to compromise authentic creaturely dependence. Now it might seem like we are just splitting hairs here. “Why does it matter,” we might ask, “whether a creature’s being is identical with its contingency?—especially if both philosophers are committed to creaturely dependence in the end.” The answer to this question, I believe, is evident in Plantinga’s mature work—much of which Dooyeweerd would surely find problematic, and for precisely this reason. While Plantinga affirms that the “actual” being of creatures is indeed contingent upon God, it is decidedly less clear how and to what extent the “possible” being of creatures is likewise. For Plantinga, the creative act of God is merely the “actualization” of a potentially infinite panoply of “possible” essences or haecceities—all of which “exist” as possibles. Besides the fact that the counterintuitive move of admitting the existence of “possible worlds” would likely have induced a “face-palm” (as the kids say) from Dooyeweerd, we are faced with a still more unseemly consequence for creaturely contingency; for if it is true that God’s creative act is merely the actualization of some pre-existing possible world, then it is literally true that God’s creative act has nothing to do with creaturely existence as such. As “possibles,” potential creatures “exist” (as possibles) whether or not God creates them. But this is a nightmarish scenario for someone with the philosophical commitments of Dooyeweerd. While Plantinga is quick to affirm the contingency of “actual” creatures upon the creative act of God, most of the (innovative, admittedly) legwork of Plantinga’s exotic metaphysics comes at the level of what exists as “possible” (read: uncreated). Thus, while Plantinga certainly thinks his philosophy leads him to the same conclusions as Dooyeweerd regarding the contingency of creaturely being, this would simply not be the case were Dooyeweerd allowed to speak for himself. Alvin Plantinga, “Dooyeweerd on Meaning and Being,” The Reformed Journal (October 1958), 10-15. Available online at http://www.plantinga.ca/m/MDQ.HTM. In Does God Have a Nature? Plantinga says, “[A] thing is created only if its existence has a beginning.” Since for Plantinga abstract objects such as “propositions” and “possible worlds” had no beginning, it follows that they are, in fact, uncreated objects. Of course Plantinga realizes that this poses a problem for monotheists, since they are supposed to affirm that everything aside from God is created. Yet rather than saying that abstract objects are created, he opts instead for the idea that such objects are contained in the mind of God. Still, because Plantinga expressly denies that God is identical with his nature, it is hard to see how this can be adequately reconciled with the monotheistic commitment that God is the creator of everything aside from himself. See Alvin Plantinga, Does God Have a Nature? (Milwaukee, WI: Marquette University Press, 1980), 142-43. 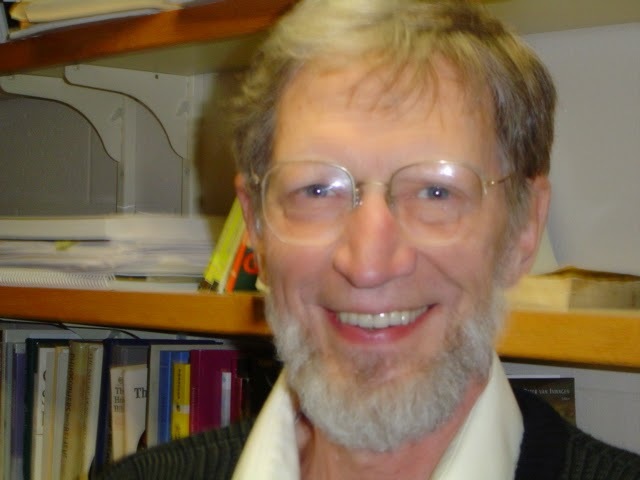 First image used from "Alvin Plantinga" by Flex at en.wikipedia - Transferred from en.wikipedia to Commons by User:Magnus Manske using CommonsHelper.. Licensed under Public Domain via Wikimedia Commons. Second image used from All of Life Redeemed. This is very well argued. Very clearly laid out. So clearly, in fact, that where you mistake the nature of Plantinga's criticism pretty much jumps out at readers. The issue is not what Dooyeweerd claims about being and meaning. This is not about the interpretation of Dooyeweerd's texts. Plantinga quite rightly measures the claims of NCTT against the tradition of Christian reflection that Dooyeweerd claims to improve upon. What the author omitted to discuss was Plantinga's motivation for distinguishing being and meaning: the problem of human agency and problem of evil. Plantinga points out that if you do not distinguish between the two, it becomes difficult not to attribute the origin of evil to God. Note that Plantinga does not draw any strict conclusions--like Dooyeweerd does. For Dooyeweerd, meaning must be the being of created reality. Plantinga, on the other hand, is willing to experiment with the wording, to test it out, to see what one can accomplish with it. Part of what I'm arguing here is that, somewhat ironically, Dooyeweerd's position on creaturely dependence is actually closer to Augustine and Thomas Aquinas than Plantinga's alternative. So, yes, I agree that Plantinga "measures the claims of NCTT against the tradition of Christian reflection," but I'm saying that there is reason to doubt his understanding of that tradition on this particular point. I think that your piece, Joshua, is a very perceptive analysis of Plantinga's criticism of Dooyeweerd's famous dictum--Zin is 't zijn van alle creatuurlijk zijnde/Meaning is the being of all creaturely beings. You are I think spot on as to what bothers Dooyeweerd about construing creaturely being in a way that can be thought in opposition to and hence independent from the Creator and his creative act. Dooyeweered's way of foreclosing on the latter possibility takes a page out of Augustine's creation theology; he choses a semiotic metaphor that foreground the contingency and dependence of the creature such that its being is its contingency and dependence. Any Creator/creation distinction that expresses the sovereign agency of God with respect to the secondary or receptive agency of each and all creatures, opens one's position to questions about human agency on the one hand and the origin of evil on the other. That vulnerability is not affected by whether one expresses one's sense of God and the world via Dooyeweerd's semiotic root metaphor or young Plantinga's instinct to go in a different direction. Neither avoids the problems; they just come into one's sight from a different trajectory if I may put it that way. And that cannot be otherwise if divine agency is already in a certain respect "all in all," whereas human agency while real is yet "secondary causality" to use Thomas Aquinas's way of speaking. Something similar went on in a young Hendrik Hart's hard hitting review of the young Nicholas Wolterstorff's On Universals. I think Reformational philosophers have from the get-go been sensitive to the collapse of the patristic and medieval opening up of the ancient Greek and Roman cosmos of being to the sovereign creativity of a transcendent Creator and the consequent transformation of ontology into a "cosmism" (to use a very old Vollenhovian term of art). In such a view Being itself comes to be seen as a determinate "genus" comprehended in an important sense by Esse Ipsum the "first in the genus" and causa sui. In such a metaphysical conception God is first in the "genus" of Being and thus in a way the cause of all its other "species." But God also belongs to the genus of Being and so is rightly to be thought along side of and in contradistinction to the other "species" of Being. It is this recognition of what happened to Being in the early modern era that motivates Dooyeweerd''s critical opposition to the separation of being and meaning when thinking about creaturely being. I find it hard to fault him in that opposition even while committed to patiently working to show how patristic and medieval thought does not make the same move and so is not subject to Dooyeweerd's criticism of the metaphysics of being despite his own rather different judgment. When you see what he is looking at and holding as the essential shape of all metaphysics of being that you understand what he was worried about and know that the object of his worry was real and properly worrisome.